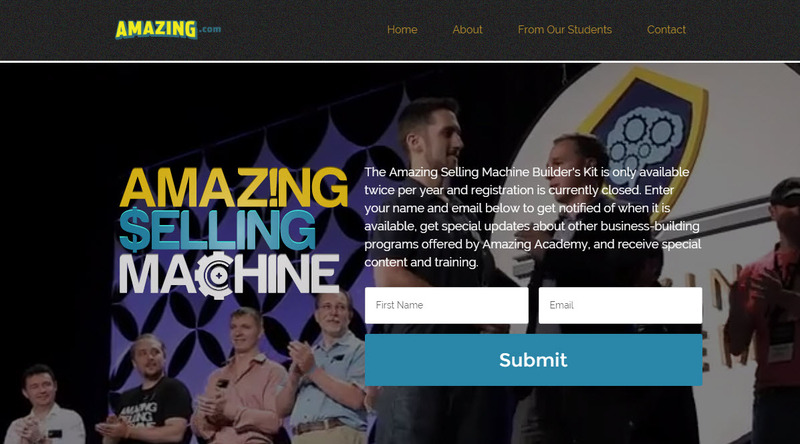 Amazing Selling Machine was created by two very successful entrepreneurs Matt Clark and Jason Katzenback. It is a training platform that helps people to create a profitable business online. What it teaches you? It shows you how to build a highly-profitable business selling your own brand of physical products by leveraging the power of Amazon. There are thousands of people enrolled in this site, and currently, registration is closed. It was launched in 2012 and then the owners re-launched this in April 2015. Both Matt and Jason has vast experience in the Amazon and has made tons of money. This product also includes some successful strategies used by them in the past. Amazon is the world’s largest online store where you can purchase physical products. The good thing about Amazon is that it has millions of products related to every field of life. This product guides you how to find, research, develop private label products and sell them on Amazon. What is Included in the ASM (Amazing Selling Machine)? The core theme of this site is to find products on Amazon that are selling well. Simply private label these products to avoid competition. After this use FBA (Fulfillment by Amazon) program to do the rest of your work. You don’t need to worry any order, shipment, warehousing and refund or any other customer service. How to create an account with Amazon? Types of the various business model and identifying product opportunities. Working with suppliers and sourcing. How to select a little competition product? How to order and manage inventory? How to optimize your Amazon product pages? How to rank well in Google so that buyers will come to your site and buy the product? How to use various tools to multiply your sales? To move your business to the next level that can last for long term. 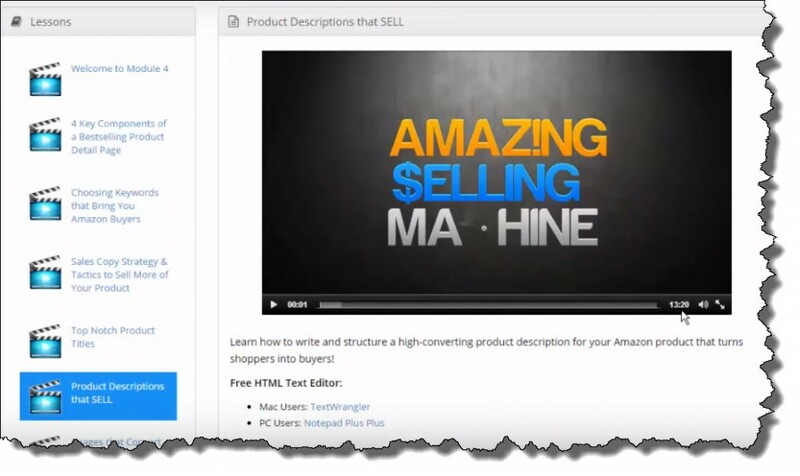 In short, this program teaches you everything about how on to build an empire using Amazon that is not only profitable but also sustains for the long term. The Email Tool: This tool helps you email your Amazon customers through this tool and schedule them as well. Press Release Tool: This lets you send daily press releases through different wire service. You will have to write your own press release before sending, but this will help with brand awareness. Promotional Tools: There are a lot of promotional tools available that helps you to send promotions to thousands of sites and get traffic. There are millions of people daily visiting Amazon site for shopping different product and services. People are using this platform and are selling thousands of products to the people. ASM also guide you how to use this platform and generate tons of money. The model is very legit and if you work hard then no way you would not succeed. It is a real information product that is not freely available on the web. The course is presented in a very organized manner, and overall the member’s area are easy to navigate. There are other events you are allowed to participate in and help you to build a contact with different internet marketers and a great way to promote your brand also. The event is called 3-day live event in Las Vegas. Many people have joined ASM and are earning decent money. This system offers a limited number of seats, and when it reached this limit, then they don’t entertain more people. I have browsed through the web, and seen majority of people are getting good results. Though it is not as per their exaggerated claims, nevertheless good income stream. I have seen very few programs that have an active community and Amazing Selling Machine also has a great community of like-minded people all around the world that has developed million dollars empire. It is an excellent opportunity to access highly driven, motivated entrepreneurs that have gone through the same course. Moreover, you will get quick replies to any queries you may raise and don’t need to wait for a few days. The worst part of this product is its price, and whether the quality information included in the member’s area are worth investment or not, this is the biggest question. If someone ask me about $4000 fee for an internet marketing training program then definitely I will not look at despite its quality because there are a lot of alternative options available that may help you in the same manner. You are risking your money in a venture that will help you to market your own private label products. This field is now more competitive as compared to the past and there are a lot of big players involved in this area. It is not easy to return your investment within 6 to 12 months. For information and business model there is no doubt about it, and it is one of growing business out there. It has a lot of potential and ASM has provided everything that you need to be successful. I must say it is a pretty legitimate product. This is also another form of business, and you don’t rely wholly on Google, who is regularly upgrading its algorithm and not sure what will happen in future. The only issue with this product is that is available at a very sound investment with few upsells. It is too high to pay $5000 for a product. I think this is too much for such a product, and indeed, I would not recommend this to any people at such price. If you have money and are risking this venture then no problem but with tight budget this is not for you. You are thinking what to do next and is there any affordable alternative available. To be honest, if you want to build an online empire then see my #1 recommendation, as it is much affordable and using the best business model of affiliate marketing.